What now For The Nation State? Maurice was a participant in our ‘Art of Thinking’ 10 week course’ run at Attenborough Arts, Leicester. I am going attempt to unpack a hypothesis about the future. Any attempt to predict the future is fraught with difficulties. The world today looks nothing like the prognostications of the past and in the absence of a science of history – notwithstanding the claims of Marxists past and present – futurologists rub shoulders, albeit uncomfortably, with soothsayers, necromancers, diviners and prophets. Indeed, much of what passes for speculations about the future are ruminations on the anxieties of the present. How could they be anything else? Having said that, human societies do try to anticipate, understand, and control what happens to them before it actually does. The ability to imagine a state of affairs that does not exist in the moment but may do in the future can be said to be one of the defining characteristics of both the human individual and human groups. Thus, we educate our children for years, vaccinate against disease and plant trees that will reach maturity some time after the planter has died. The future beckons to us even though the gestures may be filled with ambiguity and confusion. In many ways the future seems to be flagging up the shape of the state of human societies and the relationships that we can obtain both within and without them. Understanding is the goal: control – or control by the good guys – may be a chimera. Global capitalism encourages the growth of transnational organisations that are not rooted in culture, social norms or a value system but nevertheless depend upon the existence of these things in legal jurisdictions to further their interests and ends. Is the nature of human beings symbiotic or parasitic? To use the language of biology to describe, and by implication, evaluate the nature of how human beings relate to each other through the social structures they find themselves in, may or may not be useful. To describe a relationship involving humans as parasitic has a very high moral content and may be grounds for political action of some sort. On the other hand, in strict evolutionary terms, parasites display examples of successful survival strategies where appropriation of a niche in the material world justifies itself if justification is needed. The point here is to make it clear that any analysis of the process of globalisation needs to be transparent as to the nature of the claim being made about it. Is it a natural force that represents the working out of some underlying dynamic about change in human societies? Or is it the result of choices made by individuals, groups and institutions who could have chosen to do something different? There is evidence that the process of globalisation has significantly increased world trade and the incomes of many countries including some very poor ones. A recent report by The World Bank described how the growth in world trade has lifted one billion of the poorest people on the planet out of extreme poverty albeit that the threshold definition is pitifully low. However, alongside this growth in world trade has been a concomitant growth in transnational organisations that enhance, facilitate and promote the process. At one level the activities of these organisations can be seen as benign whilst at another they raise concerns about their ultimate aims and objectives. Indeed, the question that may need to be asked is to what extent institutions, (historically subordinate to the aspirations of nation-states,) have managed to reverse and subvert their original role to the extent that nation-states have lost control over aspects of public policy making within their borders? At this point, some would see point to the EU. It is true that this collection of nation-states meets a lot of the criteria to allow it to be described as a transnational organisation. And it certainly intervenes in public policy issues within member states. 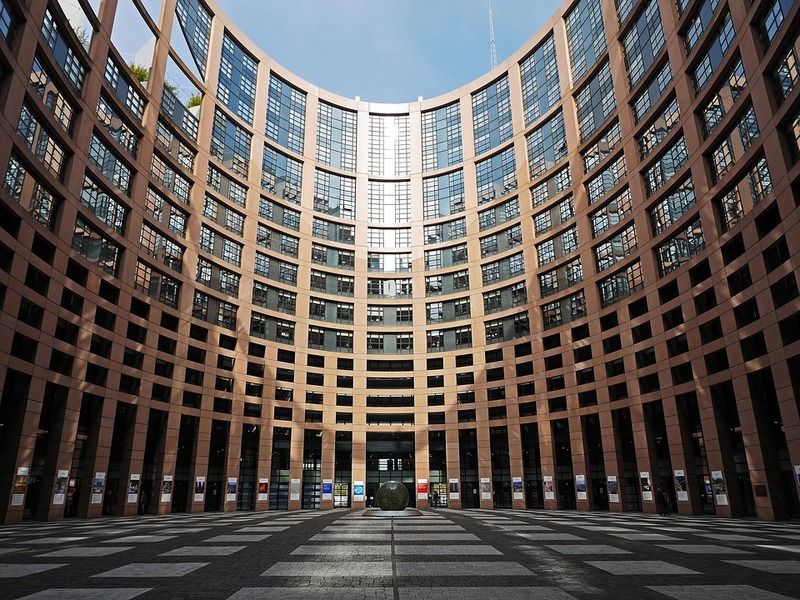 Interestingly, a condition of membership of the EU is a commitment to all of the values that may be said to underpin the nation state as a liberal democracy. Indeed, it could be argued that the existence of the EU came about because of the political objective in uniting a collection of nation states around a set of ideals and principles underpinning liberal democracy and human rights. In other words, commerce and trade were seen – still are in some parts of Europe – as strengthening the nation state whilst weakening nationalism within it. This could be a fundamental contradiction. It is ironic that some elements of the Left across Europe see the EU as part of a neo-liberal attack on the economic conditions enjoyed by workers and citizens whilst those on the Right claim that it undermines basic democratic freedoms. Both these positions were argued in the recent Brexit vote. ‘Taking back control’ is an explicit demand for a political identity rooted in nationhood, whatever that is felt to be, rather than in some more amorphous transnational citizen of the world offer. Perhaps the EU has become incapable of resolving its inner contradictions. If the features of the creature that has been called globalisation has been made clearer, perhaps its putative victim- the nation state and, in particular, the liberal democratic version of it – needs explication. The nation-state is a sovereign political entity within a defined geographical area that derives its legitimacy from the sense of belonging felt by citizens within that geographical area. Membership of the polity brings with it rights and responsibilities as well as a sense of identity based on the perceived legitimacy of state wide institutions. It may offer a sort of cultural conformity, particularly in terms of political values, which may or may not be more or less prescriptive. However, there seems to be an understanding that boundaries generate loyalties, which may have to be defended in some way. In modern times, nation states exist as legal entities amongst similar entities although constitutional arrangements do not necessarily capture the affective element in declaring oneself ‘a Scot’ or ‘an American’. The deification of the Nation state? The existence of nation-state is a necessary but not sufficient condition for the existence of a liberal democracy. So, Franco’s Spain was a nation-state but not a liberal democracy. In the same way a nation is not necessarily co-terminus with a state: the Kurds consider themselves members of a nation but are spread over several recognised nation-states. A liberal democracy is a representative democracy within the boundaries of a nation state whose features include majority rule, universal suffrage, secret ballots and political plurality. In support of these democratic processes there is a free media, a clear separation of powers between the executive, the judiciary and the legislature. 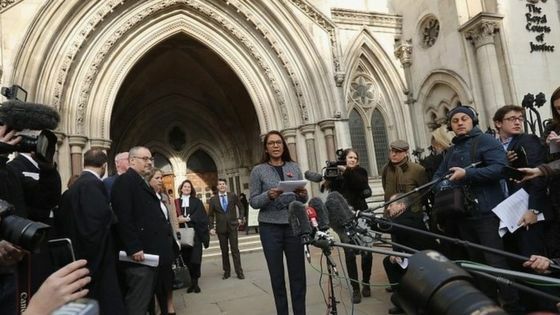 For many democrats who are also liberals, this was a sad reflection on the political maturity of many members of the British electorate when the proper and lawful working out of these principles in the recent Brexit case heard by the UK Supreme Court, prompted by a citizen challenging the executive branch of government, lead to such angry responses. Furthermore, elected representatives of young countries find it difficult to accept that one part of the essential aspects of democracy is to allow citizens to rid themselves of leaders whom they don’t like. However, voters in the so-called West should not be smug as recent events have exposed a serious fault line in what were thought of as assumptions in the nature of the stories we tell ourselves. What do we mean by Liberal Democracy? We have become so accustomed to talking about ‘liberal democracy’ that we often forget that there is an inherent tension between liberalism and democracy. At the heart of liberalism stands the individual. Classically, liberals held that any official restraint placed on an individual’s liberty had to be justified and minimal. Liberals, however, also fear the masses, worrying about ‘mob rule’ and the ‘tyranny of the majority’ as threats to the liberty of the individual. For all the distaste for state restraints, many liberals have increasingly looked to state institutions as means of checking the power of the many. This has inevitably led to an ambivalence about the virtues of democracy. Of course, recent events in the US and UK are seen by many as a massive moral, cultural and political failure but for the voters that brought these situations about through the ballot box it may seem more like an affirmation of the democratic process and a reassertion of some idea of the historically located nation state from which they draw ideas of identity and belonging. Indeed, if globalization and its henchmen – the transnational organisations – are the problem is a resurgence of nationalism expressed through a new and militant democratic voice the solution? Perhaps? But before this question can be addressed a clearer understanding of the dangers facing the nation state need to be explored. Is it obviously the case that the process of globalisation poses an existential threat to the very existence of political entities such as the UK, France and the United States? The flags still fly over the institutions of those countries and their citizens still refer to themselves as British (the British v English discussion whilst relevant will have to wait for another time), French or American. Young men fighting for their countries are still dying all over the world so it may be premature to argue that the idea of nationhood is slipping out of focus. However, this does not necessarily mean that all is well. The symbiotic/ parasitic axis may be tilting a certain way. After all, the nation state – liberal, democratic or anything else – is is a very useful mechanism for easing the way of the ambitious transnational. Who is benefitting from the notion of Nation States? The Nation State provides a compliant, consuming, law-abiding reservoir of workers and consumers. Workers are educated, kept fit and well, transported to work and back, and looked after in times of trouble with minimal funding from the large corporations. A particularly egregious example of this is provided by the fate of the redundant workers of the failed BHS chain, where a Parliamentary Select Committee found that its owner – Sir Philip Green – enriched himself from the assets of the group, and allowed it to fail taking the pension scheme along with it. Those workers are now claiming state benefits rather then receiving a pension they worked for and were promised. It is worth noting, that as a tax exile in Monaco, Sir Philip and family pay no UK tax on their earnings. Similarly, nations states can be played of, one against another. In this situation, the elected government (it probably works with autocracies too) acts as an agent in a reverse auction offering tax incentives, cheap labour controlled with vigorous anti-union legislation and a sympathetic commercial law structure in an attempt to attract investment. If this were not bad enough, the nation state also acts as a repository of physical assets that can be cherry picked and turned into financial assets for use within the global financial system. Thus Kraft of America can buy Cadbury’s of the UK (founded by The Quakers to avoid the worst depredations of capitalism!) for its use as a brand name. When asked to account for this by a Parliamentary Committee, the CEO of Kraft refused to attend. And when all of this goes wrong, domestic taxpayers provide free insurance against failure particularly for financial institutions who then lobby ruthlessly against any forms of control. Not a pretty picture. It is not one of peaceful and mutually beneficial co-existence – the official line – but one of exploitation, appropriation and a form of corruption. In Supercapitalism [iv]by Robert Reich (President Clinton’s Labour Secretary now an academic) he describes how the large corporations have overwhelmed democracy in the US and how citizens believe that the political system has been corrupted by money leading to a loss in belief in democracy. A more likely cause, in America and to a lesser but increasing extent elsewhere, is the expanding role of money in politics – especially money coming from large corporations. As I shall argue, that money is a by-product of the very feature of capitalism that has led to its economic triumph – intensifying competition among firms for consumers and investors. That competition has spilled over into politics, as corporations have sought to gain a competitive advantage through public policy. This means that corporations and not necessarily only transnational one but certainly including them, attempt to steer public policy to give them a competitive advantage and their only legal claim to be able to do that is that it is in pursuit if shareholder value. And in the case of hedge funds, the goal is simply the personal enrichment of a few individuals. To many it seems an abuse of power for very rich corporations and their like, to have a say in how the commonwealth is run having no mandate from anyone whilst at the same time taking great pains to reduce or even eliminate their tax liabilities. To many, this seems a classic power without responsibility situation. Politicians from all parts of the political spectrum make noises about the inequities this system produces but often present the process as both inevitable and positive – in the main. Tony Blair in his victory speech to the Labour Party Conference after the 2005 General Election victory spoke of globalisation as if it were an irresistible natural phenomena and implicitly mimicked the Daleks by claiming that ‘resistance is futile’. His message was basically submit or be destroyed. It is interesting to speculate about the extent to which Tony Blair and other globalisation cheerleaders from the political class would accept another role as careless midwife to another type of politics, one that brings back the neglected notion that political decisions are about choices made by and for specific communities in real places now but in a form that may act as a wrecking ball to the achievements – if that’s what they are – of liberal democracy. 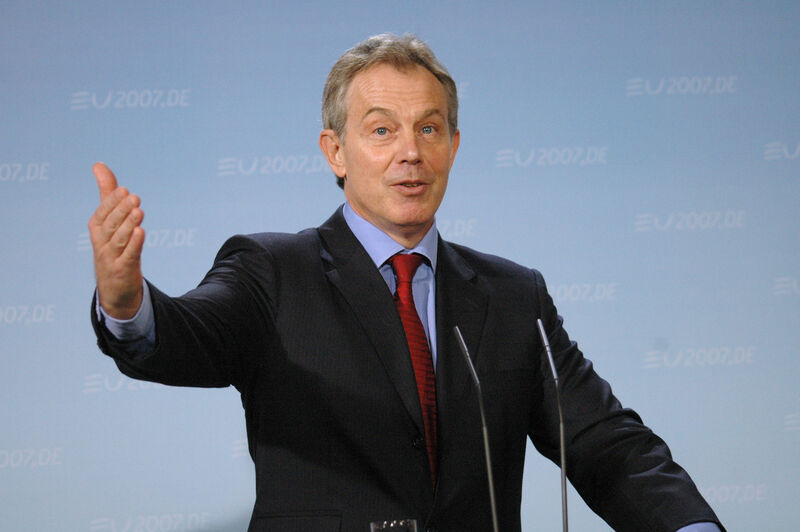 45084898 – Tony Blair – meeting of German Chancellor with the British pm on 13 february 2007, the Federal Chancellery, Berlin-Tiergarten.. Returning to the Nation State. Analysis of these claims seems to show that liberal political philosophies have depended upon two postulates, assumptions, or axioms – whatever is the proper expression. One may be called ‘individualism’ in contrast with other forms of collectivism, though the word has been used in too many senses to be self-explanatory. The other – for which there is no obvious name – is that the relationships between individuals in a community are irreducibly moral relations. The argument here is that for a liberal democracy to work, citizens of that polity must be self-aware moral agents. However, this assumes the pre-existence of a moral framework or tradition that has common, although not necessarily uncontested, acceptance. This is sometimes forgotten. Adam Smith, author of The Wealth of Nations and puppet maker of the ‘invisible hand’ so beloved of neoclassical economics saw himself as first and foremost a moral philosopher not a political economist. And in the Western world, the nation state has become the host for the birth and sustenance not only for the economic and political life of its citizens but, at some very fundamental level, the values and norms that underpin that life. Add in the notion of progress and its possible to see that the nation state in its liberal democratic form promises much. But by its very nature, globalisation is amoral. It is rootless and restless with no history or tradition. The question that arises from this sort of analysis concerns the very nature of the thing readily identified as globalisation. Is it, following Tony Blair, an irresistible social tsunami, a brute fact that has to be accepted, or is it a policy, designed by certain human beings standing outside any value system or norms of conduct nested in a nation state, to achieve specific goals which are not mediated through traditional political structures? Similarly, is globalisation simply the catch-all expression that captures the scientific and technological changes that are transforming the material world and the people who live in it? Or is it an ideological doomsday machine for eliminating large swathes of a particular type of discourse from the language in order to make moral objections seemingly archaic and reactionary? Within the moral framework hosted by the nation state, particularly the liberal democratic variant, concepts like, fairness, integrity, trust, public interest, respect, mutuality, basic decency, still have traction but may wither and die if abandoned by their patron. But the economy has become an engine of inequality, division and dispossession. A financialised model of capitalism has redistributed wealth on a massive scale from the country to the City, from the people to the financial elite, and from the common ownership of the public sector to private business. We do not own our utilities nor do we control of our vital energy market. The overseas supply chains of business located here are the chief beneficiaries of our economic upswings. A flexible employment market has stripped workers of rights and security. Our soft-touch approach on corporate tax has encouraged tax evasion and transfer pricing as business relocates its profits to tax havens. It is if we don’t live in a country so much as an economic system that is owned elsewhere and over which we have no control. This article began by asking whether or not the process of globalization is parasitic – in the moral sense – or symbiotic – again in a moral sense. Whilst it is clear that there have been benefits to globalization in terms of improved living standards for some of the poorest people on the planet its impact on long-established moral communities, particularly in the West, has been to undermine their citizens sense of themselves not just as economic agents but as moral actors in a social and political framework they call home. It is to hoped that the values of fairness, tolerance and basic decency survive the turmoil their reaction has unleashed. ‘Taking back control’ is a powerful message that invokes a potent and assertive democratic vision but which may have become decoupled from its liberal history. Perhaps the task facing liberal democrats everywhere is to recouple these estranged cousins whilst at the same time offering a vision of a globalised world that appears to be at least amenable to the political control at a local level. A big project. [ii] How Democratic is the American Constitution? EXPLODING APPENDIX - On Film, Counter-Culture, Identity Politics, Gender and Christian Love.